The epitome of classic Italian furniture is embodied by Francesco Molon, the luxury brand chosen by residential, public, official and hospitality spaces all over the world for the excellence of its collections. A strong Italian DNA makes Francesco Molon the leading company worldwide when it comes to classic Italian furniture: the majestic solutions offered by the brand allow the furnishing of virtually any space in need of exclusive, elegant, luxurious pieces destined to every room. Francesco Molon is a family company based in Romano d’Ezzellino, not too far from Venice, and characterized by the constant collaboration of over a hundred professional artisans, committed to give birth, on a daily basis, to exclusive and irreplicable pieces of art that represent the most classic Italian furniture fully. 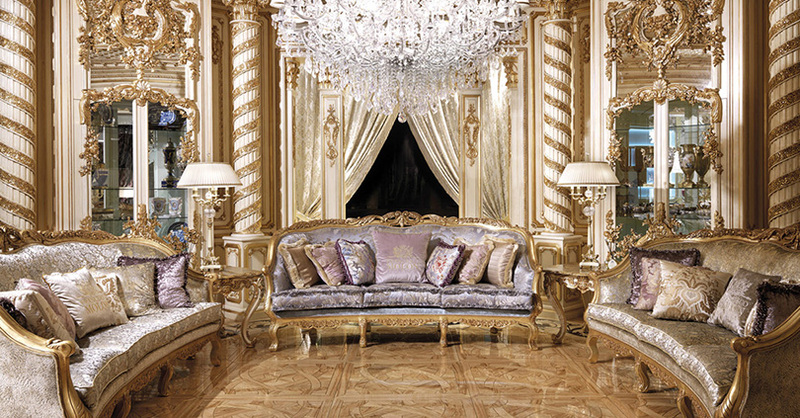 Each and every piece of furniture by Francesco Molon is considered a unique piece of art and treated as such, from the preliminary designing phase to the actual production. The brand especially focuses on every detail, in order to create specific nuances that make every product unique and extraordinary. What makes Francesco Molon’s collections the most exclusive classic Italian furniture resides essentially in the brand values, consisting in luxury, style and mastery, together with a strong commitment to Italian timeless fine design and functionality in all spaces. Francesco Molon’s classic Italian furniture does not follow any interior design trends, but it dictates them, thanks to pieces of art that will be passed from generation to generation. Get in touch with the experts of Francesco Molon and ask for a dedicated consultancy, or take a look at the exclusive collections by exploring the website.